This is the nickname that Crisses use for signing pages. Back in the arcade days, you could only record a 3-letter high score. No, we didn't have XES as our moniker at the time, but it amuses us that we can actually say our name in 3 letters. So why not? We also use XES on the PmWiki project. So you can go there, view our profile, see the contributions we've made, etc. 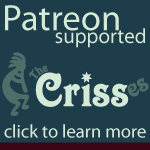 More information on the Crisses.